When you are suffering from a non-life-threatening illness or injury, knowing when to go to the ER and when to go to the urgent can save you time and money. A visit to the emergency room typically costs about 7 times what a trip to an urgent care would cost. Prices vary depending on what you are treated for, but on average, a trip to the ER will cost about around $1,400; whereas, a trip to urgent care will only cost you $200. 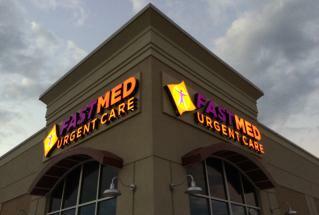 So, how do you know when to visit the emergency room and when to visit FastMed Urgent Care? In short, if your condition could result in death or cause you to be permanently disabled, you should call 911 or visit an emergency room. If your condition is not life-threatening, come to FastMed. To learn more about when to visit an urgent care vs. an emergency room, click here. When you’re sick or injured, FastMed is one of the best places you can go. We provide high-quality, professional care at an affordable cost. We accept most major insurance programs, and we even provide a discount program for patients who are self-pay. At FastMed, we understand that unexpected health care costs can take a toll on your finances. With our discount program, you and your entire family are covered at any FastMed location for only $35. * For a full list of services and fixed pricing, see one of our medical professionals at a location near you.